Debbie B. Riley is executive director of the Maryland-based Center for Adoption Support and Education, Inc. (CASE). Riley holds a master’s degree in marriage and family therapy from the University of Maryland. For the first 25 years of her career, she focused on adolescent mental health, treating thousands of teens in outpatient, inpatient, and community mental health settings. Since 1993, she has focused exclusively on the field of adoption. She created post-adoption programs in the Washington, DC, area that included development of a continuum of therapies, educational services, and support for the adoption community. Teens need their parents' guidance in forming their racial identity. When teens establish contact with their birth families, they face risks, as well as rewards. Teens may try on different identities as they seek to determine who they are. The breakup of a family can be especially hard for adopted teens. Here's why. Can't get your teen to talk? Rent a movie. Help your teen adoptee overcome fear of leaving home with this advice. 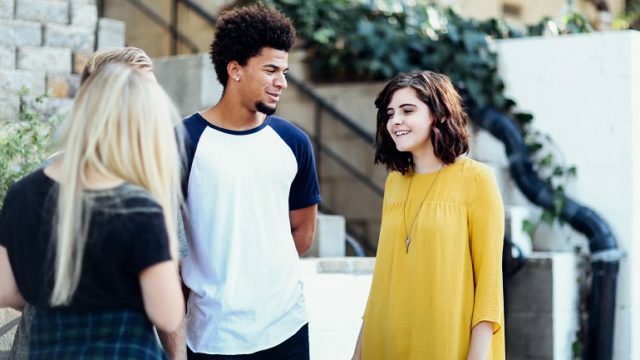 Want to strengthen your teen's sense of belonging? Make family meals mandatory. As your teen heads toward adulthood, she'll strive to discover who she is. Some teens are ready to go away to school and hit the books. Others may need different options. By now, you and your teen have established a firm family bond. But outsiders may not see it that way. When they're angry at us, teens may bring up the subject of birth parents. Here's how to answer calmly. Can't pry your teen from the computer? The Internet can be a great tool for finding identity and networking with other adopted teens.